US shopping giant Target has become the latest high-profile company to back Blu-ray in favour of HD DVD - at least in its 1,500 retail stores. The move piles further pressure on the HD DVD camp, which has already seen video rental firm Blockbuster switch to Blu-ray-only releases in its US outlets. Target is giving shoppers the chance to pick up Sony's new BDP-S300 Blu-ray player for just $499 (£244) throughout October. It will be displayed alongside Blu-ray disc titles from three Hollywood studios at the end of store aisles, Forbes.com says. HD DVD hasn't lost out altogether though. Target still plans to sell HD DVD players through its website . The Xbox 360 HD DVD drive and HD DVD discs will still be available in Target stores. Although Sony is paying to have its proprietary format displayed prominently at the end of store aisles, it doesn't seem to have brought total loyalty from Target. "We are not proclaiming one format vs. the other as the preferred consumer technology, and software will continue to be available to our guests in both the Blu-ray and HD DVD format," Target spokeswoman Brie Heath said. 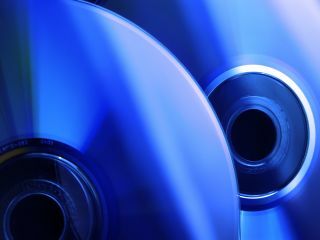 The HD DVD camp responded to the news by declaring that its format is "more affordable", asserting that consumer costs are more important than current consumer choice. Given that summer blockbusters Spider-Man 3 and Pirates of the Caribbean: At World's End are to be released exclusively on Blu-ray format this autumn, it will be interesting to see if the HD DVD camp is right.